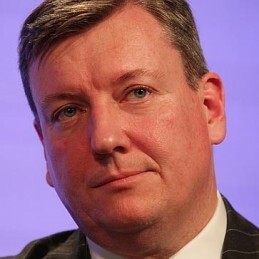 John Brogden is managing director and chief executive of the Australian Institute of Company Directors. He was the State Liberal member for Pittwater from 1996 to 2005 and was the NSW Opposition Leader for 3 years the youngest person ever to hold the role and lead a major political party in Australia. Mr Brogden has been chief executive of the Financial Services Council, a lobby group for the retail superannuation industry, since 2009. In August 2006 John was appointed CEO of health insurer Manchester Unity, which he successfully merged with HCF in December 2008. From 2006 to 2009 John was the Chairman of Abacus Australian Mutuals, the body representing Australia’s credit unions and building societies. In 2012 he was elected Chairman of Lifeline Australia. John Brogden also holds honorary positions as the Patron of Sailability Pittwater, Bilgola Surf Lifesaving Club and Avalon Beach Surf Lifesaving Club and is the Chairman of Furlough House Retirement Village. He was recently awarded membership of the Order of Australia (AM) for his work with mental health, the financial sector and the State parliament.